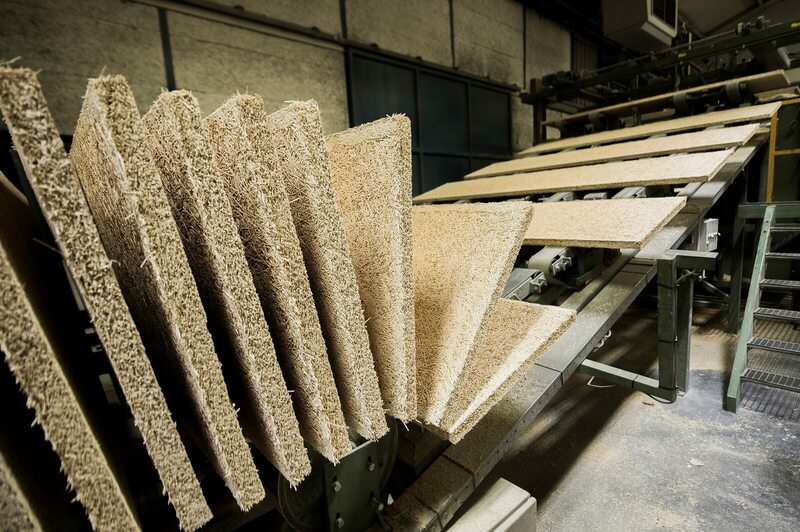 Heraklith® wood wool boards are made exclusively from sustainably produced wood. For the production of our wood wool, we use PEFC TM certified wood. Besides wood wool, there are a number of other natural ingredients at the basis of Heraklith wood wool cement panels: cement, lime and water. In this way, with Heraklith wood wool panels you can be assured of a particularly sustainable product. is an international non-profit organization that promotes responsible forest management worldwide. The quality mark gives you the assurance that the raw materials for wood products come from responsibly managed forests. The goal of PEFC is sustainable forest management worldwide. Sustainable forest management is a widely recognized, important and practical tool in the fight against deforestation and takes care of the people who depend on the forest. Our globe counts 304 million hectares of PEFC certified forests and 195 million hectares of FSC certified forests. So PEFC is by far the largest quality mark for sustainable forest management. A part of the forests has both certificaties by the way. Choosing PEFC not only perfectly fits in our sustainability policy, but also fits in with CSR principles and when choosing PEFC you also meet the purchasing criteria of the Dutch government for sustainable purchasing. Naturally, with Heraklith wood wool panels you also score excellent in quality marks such as BREEAM, LEED and WELL. We provide our customers with the Environmental Product Declarations (EPDs) for our products in various applications. Our EPDs are based on a full Life Cycle Assessment (LCA) performed by our factories. In this way we can quantify the advantage of using wood as a raw material in combination with the binder and accurately assess the environmental impact of the product. The life cycle analysis (LCA) of each product is based on the environmental effects, both inside and outside the production environment. It is assessed "from cradle to grave". For our wood wool insulation boards, the LCA includes the impact of raw material extraction for the production of the panels (including numerous additional processes, transport and energy consumption), production, transport to the construction site and end of life scenarios. The full LCA results are stated in an Environmental Product Declaration (EPD). The results stated in a Heraklith EPD regarding the LCA of wood wool insulation relate to all production sites and are based on the use of wood wool panels in applications such as underground parking garages, basement ceilings and walls. Assessing the sustainability of building materials is not easy. Do you want to use wood wool and do you have any questions about the sustainability of wood wool as a building material? Please contact us.